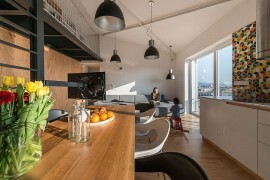 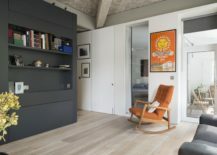 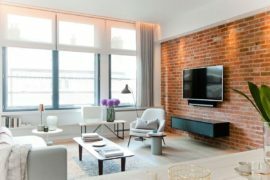 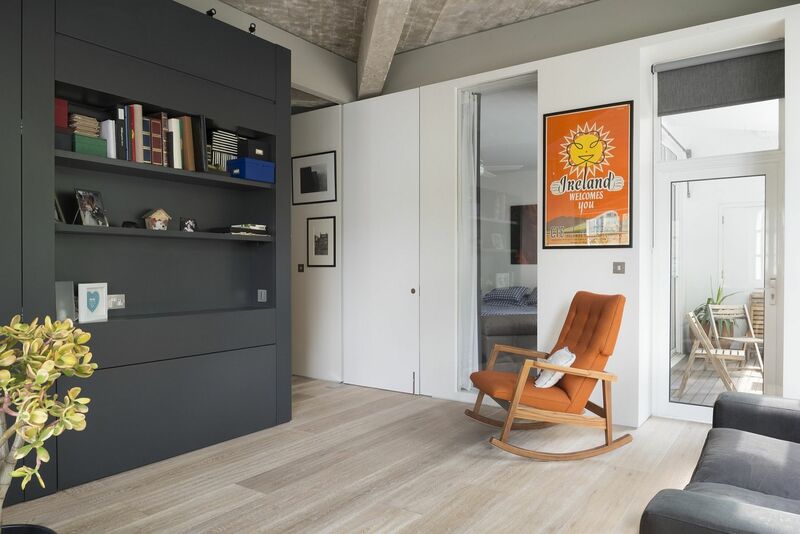 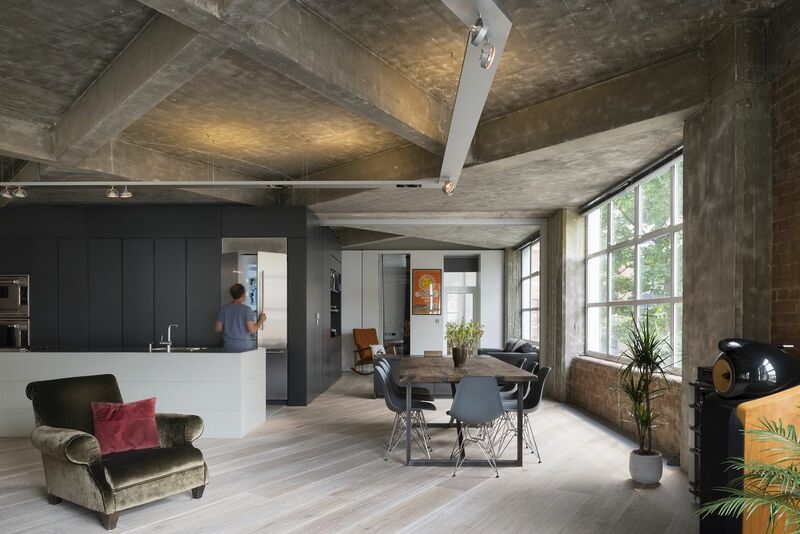 Nestle in the heart of London and reviving the original industrial charm of the Clerkenwell neighborhood, the charming Clerkenwell Warehouse Loft was renovated and refurbished in style by InsideOut. 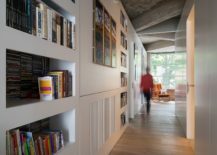 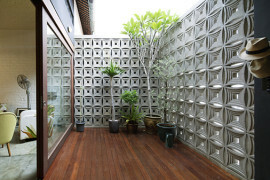 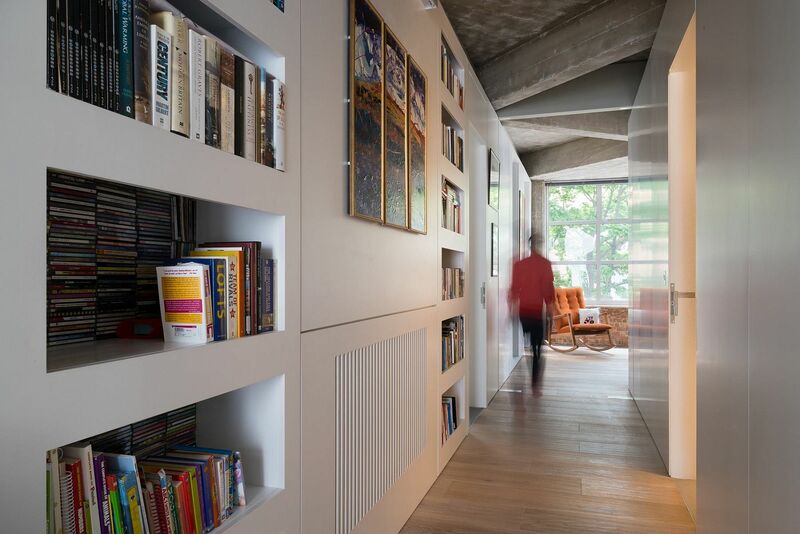 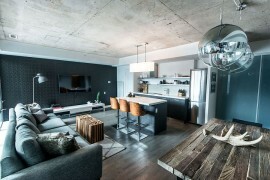 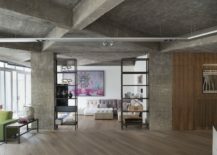 The innovative makeover of this 2,583-square- foot apartment aimed at bringing back some of the original appeal of the home by doing away with old layers of drywall and exposing its concrete skin at its brilliant best. 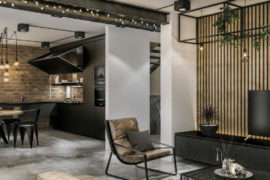 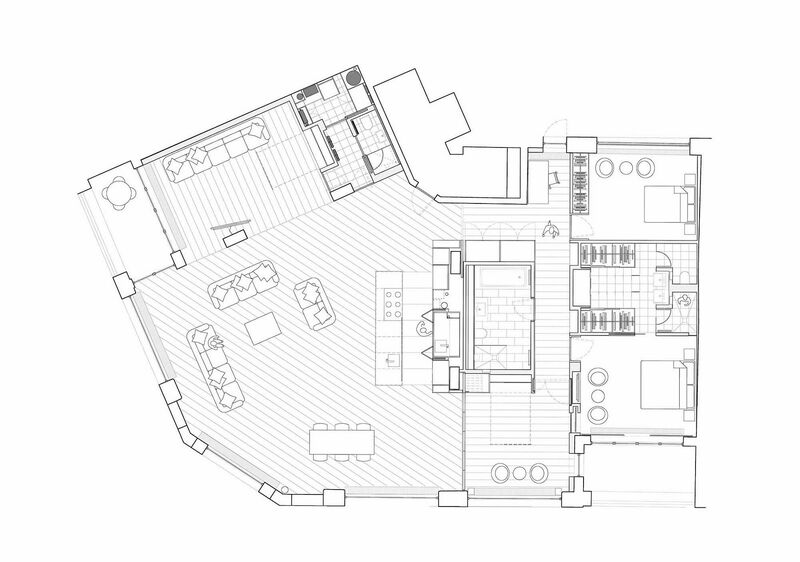 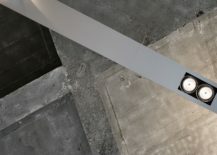 The project is a brilliant blend of aesthetics and functionality with modern inserts and smart units being used to add two new bedrooms, a state-of-the-art contemporary kitchen, an exclusive TV room, guest spaces and additional family areas. 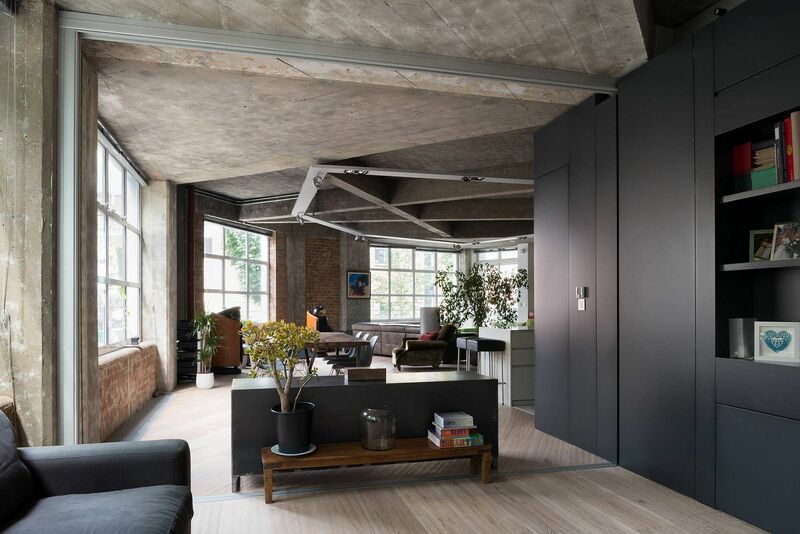 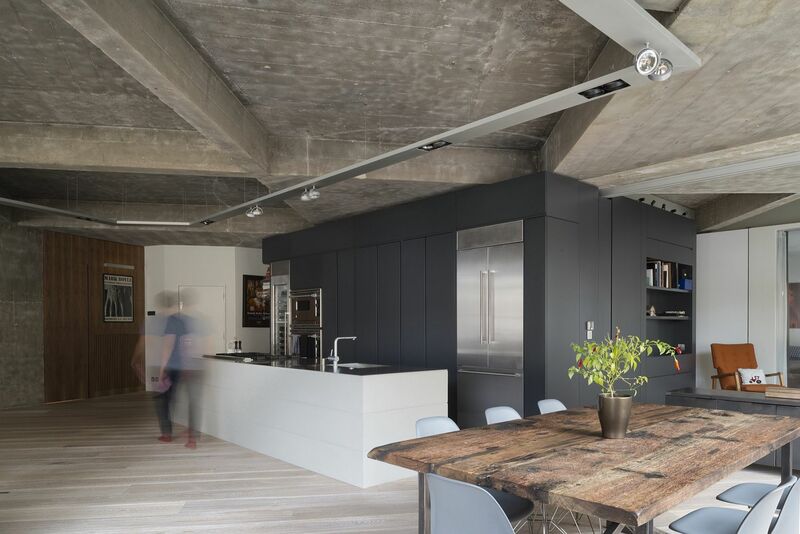 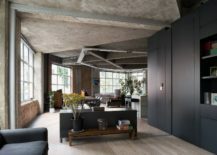 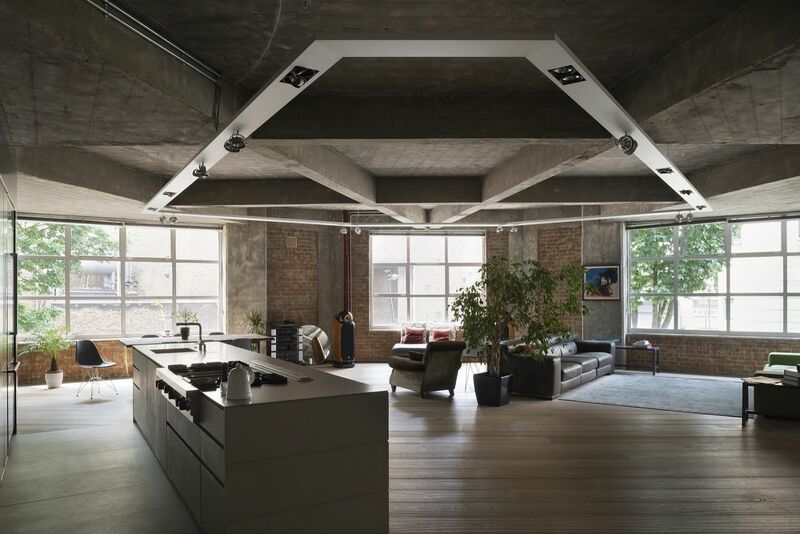 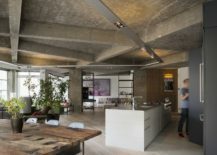 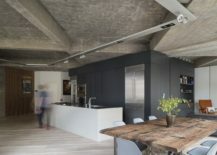 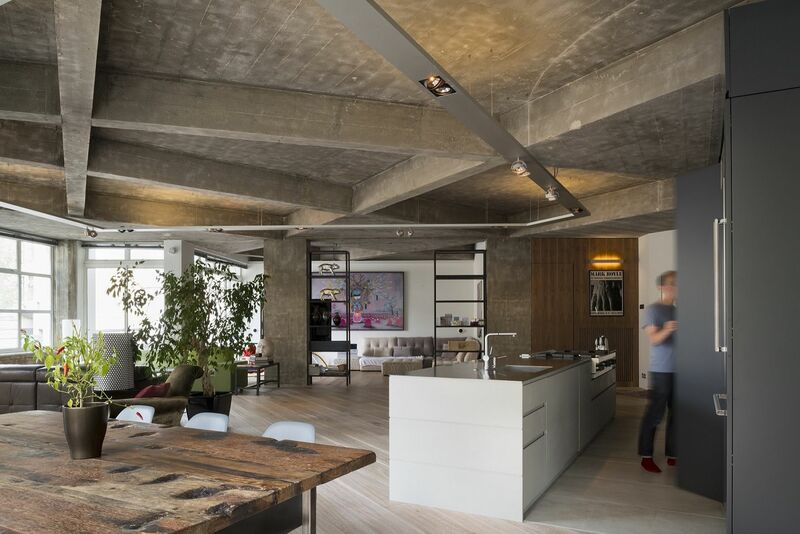 Concrete is the irrefutable showstopper of this modern London loft with the open plan area being specifically designed to showcase its timeless beauty. 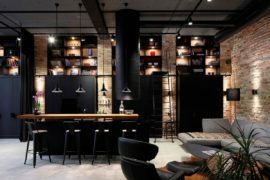 Even as the rough walls and the curated backdrop combine ever so effortlessly, it is the dramatic ceiling with its exposed beams and contemporary track lighting that draws your attention. 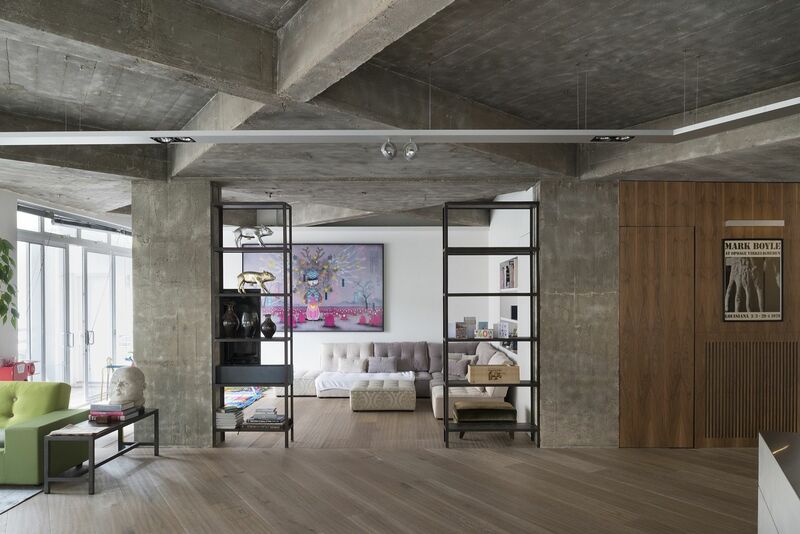 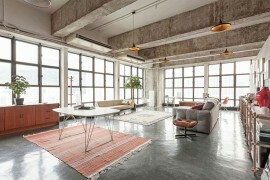 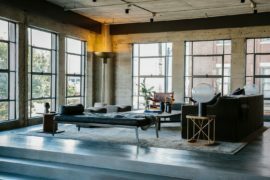 Keeping the entire space as open and neutral as possible adds to the dramatic visual and large industrial-style windows that usher in natural light elevate this aura.